Bishnupriya Manipuri Keyboard is now available in Google Play Store. Bishnupriya Manipuri (বিষ্ণুপ্রিয়া মণিপুরী) plugin for MultiLing Keyboard. Please install MultiLing Keyboard along with this plugin. Unicode has become the best way to display many writing systems of the world in browsers. Hopefully our language is included in the Unicode. Bishnupriya Manipuri uses Bengali script (বাংলা লিপি) which is a variant of the Eastern Nagari script, also used for Bengali, Assamese and Maithili. Now you are able to see Bishnupriya Manipuri unicode text in your mobile phone. You can view Bishnupriya Manipuri in your mobile like in Facebook or Blogs or Wikipedia. Opera mini version 4.1 onwards supports Bishnupriya Manipuri unicode even if your mobile phone doesn’t support it. All you need is a java enabled handset. It does it via rendering bengali text in the server, rather than on phone, and then displaying. Now I believe you can view Bishnupriya Manipuri in your mobile. You can visit Bishnupriya Manipuri wikipedia, Facebook and many other Unicode compliant Bishnupriya Manipuri sites. A language with written literature can rightly be called as independent language. Today Bishnupriya Manipuri is recognized as an independent language all over the world only because of gigantic efforts of our godly forefathers to safeguard our language from extinction through various literary activities. Otherwise, like the historical records of Manipur, the history of the language is a story of deprive and exile. Curiously enough, there is no authority goes beyond 13th century except the rain-songs, proverbs and other folk literatures. Sir GA Grierson treats this language in his “Linguistic Survey of India”. He calls the language Mayang although he uses the term Bishnupuriya Manipuri. He also refers to the vocabulary of the language in Lieut-Col W McCullock’s “An Account of the Valley of Manipore and other languages” published as early as 1859. Considering the authorities and evidences it can be safely said that the Bishnupriya Manipuri language is originated in the land of Manipur long before the advent of Hinduism in this valley. As the speakers of Bishnupriya Manipuri (ইমার ঠার, as known to the speakers themselves) had their headquarters at Bishnupur, they were called Bishnupuriyas, i.e, the habitants of Bishnupur, and Bishnupriya is only contracted form of the term Bishnupuriya. T.S.Eliot wrote in his famous poetic work “Four Quartets” that time past and time present are both present in the time future. To make the way for the future we should explore our past. It is history, which is the gateway to enter into our past. Firstly, the Bishnupriya Manipuris like their Aryan ancestors lacked historical sense. Here I may recall the lines drawn by Arthur A Medonell in his “History of Sanskrit literature”: “History is one weak spot in Indian literature. It is in fact non-existent. The total lack of historical sense is so characteristic that the shadow of this defect, suffering as it does from an entire absence of exact chronology….”. The Bishnupriya Manipuris, like their ancestors, believed mostly on oral traditions. Second, but the most dominant factor was the damage of historical relics, old records and other relevant information by the Meitei king Pamheiba or Garib Niwaj during the seventeenth century A.D.
Thirdly the three consecutive Burmese aggression to Manipur which have forced the Bishnupriya Manipuris to leave their ancestral home and settle down in different scattered locations in present Myanmar, Assam, Tripura and Bangladesh. During those dark days while people were struggling hard to save their own lives have forgotten to preserve the old records. However, from such a virtual non-existence of any historical records some western and non-Bishnupriya Manipuri Indian writers (including historians from Manipur) have drawn brief sketches on the historical backgrounds of the Bishnupriya Manipuris. From their reference one can be sure that there were Bishnupriya Manipuris on the soil of Manipur. Among the western writers we may name Captain Pemberton, r.Brown, E.T.Dalton, T.C.Hudson, E.Gait, B.C.Allen, and Major Mc Cullock etc. But some of them quoted distorted facts under the influence of Meitei kings and intellectuals. Even the great master compiler of Linguistic survey of India, Sir G.A.Grierson could not free himself completely from referring to such distorted facts. However, we express our heartfelt gratitude to him because with his justified statements we have won our war against the menace of a sested interests to cut out our existence from our historical roots. We pay our deep respect too to Late R.M.Nath who has highlighted certain facts on the history of the Bishnupriya Manipuris in his famous work “Background of Assamese Culture”. History is a Science based on facts and reason, leading from hypothesis to thesis (from hypothetical knowledge to logical conclusion). Who will write history of this race? I may answer this question in the spirit of Bankim Chandra Chattapadhyaya that “It is I; It is you”. All of the Bishnupriya Manipuris should write their own history because in its truest sense only the Bishnupriya Manipuris can approach sincerely on the indepth and systematic study in this field. Here we also remember with deep respect the works done by Late Mahendra Kumar Sinha. He is the pioneer in Bishnupriya Manipuri historical research. His work is compiled into three volumes of “Manipurer Prachin Itihas”, the first of which has been published earlier. We are awaiting eagerly the publication of the remaining volumes. 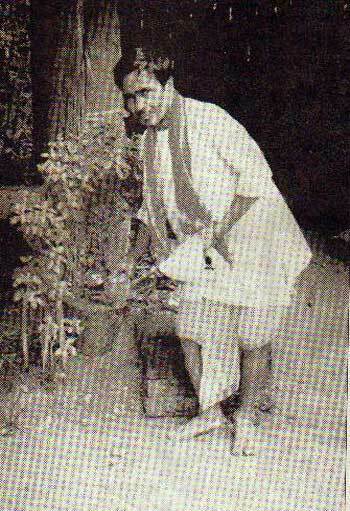 Late Sena Singha contributed a lot with his work “Manipurer Itibritta”. But some of his findings are not free from controversy. We pay our deep respect to him too.Other scholars also contributed a lot in this field. 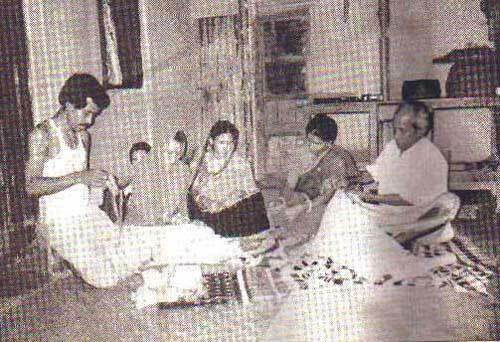 They are Late Krishna Kumar Singha, Haridas Singha and other respected persons. There are other interested persons who have sincerely devoted themselves to the study of history. Most of their works are yet to be published. We are certain that one cannot be totally agree to all the findings by the earlier scholars as mentioned above. Moreover with the passage of time more informations are coming into light, which bring new spheres of speculations. Physically, a fine race, the Manipuris is devoted to sports and games. 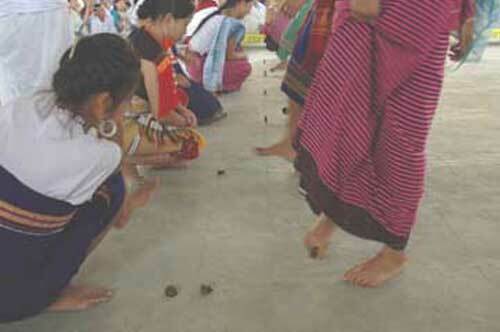 There are number of traditional games that have their origin back in Manipur. One of the most popular indoor game among them is Kang. The game, Kang is known to the Bishnupriya Manipuris as Gilla (though Gilla is developed as a variant of Kang) and Kanga-Sanaba to the Meiteis. It is an indigenous Manipuri game played on the day between Manipuri New Year’s Day (Cheiraoba/Bishu) and the Ratha Jatra (Kang) festival. A round object called Kang which is the seed of a creeper (Uri) is used in this game. It is about one and a half inch in diameter and ¾ of an inch in thickness. The game is played among two teams each of seven either males of females usually mixed up. A player has to Shoot a point from a fixed position. If the parties hit the target twice with the Kang then, Lamtha is adopted. Lamtha is played by propelling the disk on its flat side along the surface of the ground by the force of middle finger of the right hand acting the finger of the left.. At the end of half a duration of the play, interchange of the directions takes place. Of the two teams, the one who can hit the target for a greater number by two Chekpheis (shooting from a standing position) and one Lamtha is the winner. There are tales, both legendary and mythological, that claim that Kang was played by gods and goddesses, soon after the earth was created. According to some sources Kang is played by the deity “Panthoibi”. It is believed that the seven players on either side represent the seven days of the week and the Chekphei and Lamtha kangkhul are believed to 15 in number on one side and both sides represent 30 days, making a complete month. There are evidences that the Manipuris began to play this game well before the arrival of Vaishnavism in Manipur. Earlier, the dignitaries of the Palace including the Maharani and the Maharaja also participated on social functions. In the old days Kang was played during summer starting from Cheiraoba/Bishu to Kang. Presently, the game is played in several tournaments through out the year. Rules and regulation have been modified to suit the changing needs of the game. In Bangladesh a Kang Federation is formed to organize the game annually. Besides there are few individual attempts to preserve the cultural tradition of Manipur in some Bishnupriya Manipuri localities like Tilakpur, Ghoramara etc. To download the special issue of Pouri Patrika on Bishnupriya Manipuri Kang celebration and the Game of Kang click here. To many of us, the name Manipuri stands for colorful hand-woven saris and shawls. To other it is synonymous with classical dance. But the exotic images tell only part of the story, Beyond the colorful facade, the history of the Manipuri people is one of conflict, deprivation and exile. Following political intrigue in the eighteenth century, a large number of Manipuri fled their homes and took refuge in greater Sylhet, as well as the Indian states of Assam and Tripura. These people had Indo-Aryan features and called themselves Bishnupriyas. Long before their exodus they had lost control of Manipur to the rival clan of Meiteis. In their adopted land their lives and limbs were safe; but their language and culture began to lose ground against those of the majorette. Meanwhile, the Meiteis in Manipur became vindictive and imposed a de facto ban on Bishnupriya language and custom. The Bishnupriya Manipuris were caught between a rock and a hard place. Today, young Manipuris are no longer sure of their cultural identity. Elders worry that their rich heritage may not be preserved for posterity… 2nd part of the Article written By Syed Zainul Akmal Al-Mahmood, Sylhet, Bangladesh. Barton! Come One, Come All!! A man comes into the front yard. He has in his hand something that looks like a large green leaf. He place it carefully under the Tulsi plant in one corner. Swapan looks pleased. I looked puzzled, “Barton” he says. Barton. I learn, is the formal invitation to a function. In case of Ras Lila it consists of piece of Pan (betel leaf) and a few piece of Supari (betel nut). These have to arranged in a certain way and place under the inevitable Tulsi tree. “Without this time-honored ritual, the invitation is incomplete”, says Swapan’s mother with a smile. The Manipuris are craftsmen extraordinaire. It is difficult to find a Manipuri household without a loom. The weavers have traditionally been women. There are many skilled Blacksmiths and Goldsmiths among the Manipuri men. They are excellent farmers as well. This industriousness has seen them for centuries of turmoil. Oh Sorelel! Singing and dancing is part and parcel of Manipuri life. From watching young children one feels that they have an instinctive sense of Rhymes and Rhythms. Their culture is a curious blend of Vaishnavism and orthodox belief. In between it is still possible to see glimpses of the ancient traditions that prevailed in the Pre-Hindu Manipuri society. One of the last surviving original Bishnupriya Manipuri culture is the ancient Rain Song. Translated into English it would something like this – Oh Soralel, the king of Gods! / The land of Khumal become barren because of drought / Oh king of Gods, pray and send us rain! / Pahangpa (Pakhangba) was angry because Chamei was insulted… It is a long song with impressive rhythm and deep feeling. It was composed long before Hinduism took place in Manipur. Manipuri elders testify that there were many other important songs, but they have vanished from memory, never to return. GK Ghosh said of the Bishnupriya Manipuris, “In Manipur their culture is being gulped by Meithei culture, in Cachar and Bangladesh it is by Bengali culture, while in Assam by Assamese culture (ref : Tribals and their culture in Manipur and Nagaland). The erosion is easy to see. Even since Santidas won over the population, the influence of Bangla has steadily been growing. The Manipuri alphabet has been replaced by Bengali letters. Traditional Manipuri names like ‘Thoibi’ and ‘Senatombi’ has given way to names such as ‘Suchitra’ and ‘Sunetra’. Many traditional costumes have been lost. Those Bishnupriya who remained in Manipur have lost their language, now they speak Meitei. Many experts believe this rich culture is headed for extinction. Costume making a semi-religious job! Costume making for the Ras is a semi-religious job. Traditionally, before every Ras, the costume maker unveils his work (with every bit as much pride as Legerfeld showing off his spring collection) and makes prediction about how the Ras will go. All the dancers came and pay homage to him before collecting their costumes. The costume maker is spry, middle-aged man named Kangress Singha. His family has the business for three generations, he tells me. The costume itself is a gorgeous affair. Red, Green, Yellow –all the colors of rainbow in fact. And some besides. The costume has 10 different parts and known as ‘Polloi’. Next come Radha, a young girl of same age. Then, in single file, a bevy of teenaged girls who will be Radha’s companions, the Gopis. Subhasini is among them as earnest as the rest. Clearly this was a big occasion. It is approaching midnight, the dancers are struggling with their costumes and make ups. Subhasini is being helped on with her jewelry by willing hands. She is a great dancer, pupil of a dance teacher who trained in Allahabad. But most of the dancers have no formal trainings. At Last, the watching hour. The Ras start off at a quarter past midnight. The sequence of dramatic scenes shows Radha nad Krishna in the idyllic Vrindaban cavorting with the Gopis. The songs are part Bangla, part Manipuri and part Brajabuli. Sameer Singha, student of dramatic Art at Jahangirnagar University, sits by me and explains the lyrics. 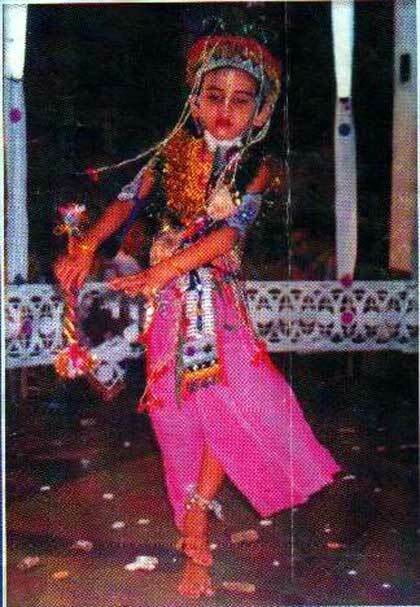 The young Krishna dances beautifully; it’s an amazing part of a child so young. Amazing performance, period. The Ras Lila ends just as the first streaks of dawn appear in the sky. As I trudge back, mission accomplished, I can’t help the thread faced by the flamboyant people. They badly need a new dawn, a new beginning. Unless current trends are reserved, their exotic culture may become extinct in near future. Our cultural landscape will be poorer for it.